Rose City celebrates 70th with eyes on a bright future. 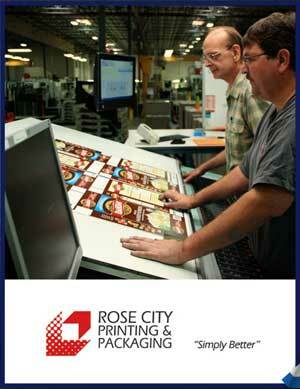 It may be turning 70, but Rose City Printing & Packaging is hardly slowing down. Rather, the entity that began in 1945 as Rose City Paper Products and was later dubbed “Rose City Paper Box” before adopting its current name in 1997, continues to emerge these days as one of the fastest-growing folding carton manufacturers in the western United States. 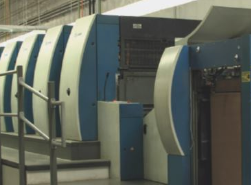 The company installed its first two-color press in 1964. Today the equipment list includes a pair of roll sheeters, four offset lithographic printing presses, six cutters and a plethora of folding and gluing equipment, enabling it to run the gamut from windowed tissue boxes to flame-sealed gable tops. A comprehensive array of folding carton and beverage carrier options is complemented by a full roster of structural design, electronic pre-press, logistical and package engineering services, and its two manufacturing facilities – one in Vancouver, Wash., the other in Gresham, Ore. – supply high-quality materials for the food, nutrition, beverage and consumer products markets. The groundwork toward today’s modern operation was significantly laid in the late 1990s, when an ownership transition from father to son resulted in the formation of an outside board of directors and a professional management team being brought in to handle day-to-day business functions. And, predictably, necessities for success these days are far different than even a generation ago. 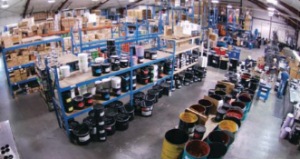 The updated Rose City entity, headquartered in Vancouver, employs 140 people alongside the aforementioned manufacturing plants in Vancouver and Gresham and an additional warehouse also in Gresham. The employment number has steadily climbed, Lobis said, thanks to a prolonged period of progress that’s yielded double-digit growth for each of the last 10 years. The company’s territorial customer base extends across a 750-or-so mile radius from its home base in the Pacific Northwest – stretching south into California, east into Idaho and Utah and north into Seattle and British Columbia – though products are shipped to other parts of the U.S. in cases where a client has additional manufacturing operations elsewhere in the country. Roughly 80 percent of corporate revenue is derived from business with food and beverage customers, Lobis said, while the remainder comes from a diverse mix of customers with interests in confections, hardware, software and pharmaceuticals. Some of Rose City’s competitors are focused on higher-end packaging across many industries, though its main competition is with integrated companies also aiming at larger food and beverage customers residing on the West Coast. Sixty-one responses in the first half of 2014 yielded an average range from 4.40 to 4.81 on the specific questions, alongside averages of 4.62 and 4.73 on the general assessments. The latter two scores represented improvements of 1.2 percent and 0.3 percent from the 2013 survey, and even more significant upticks from the 4.19 and 4.44 assessment averages from the inaugural survey in 2004. “We’ve got to be competitively priced and we’d better have good quality, but where we can differentiate ourselves is how quickly we can do things,” Lobis said. To that end, the company installed both a printing press and a die-cutter in 2014, and Lobis said the printing press in particular has helped trim set-up times to less than 20 minutes, which has provided a huge productivity gain and a boost in capacity. The progression of digital printing toward smaller customers in the market is being tracked as well, with the idea that it could ultimately become a far bigger factor in Rose City’s day-to-day business. Lean manufacturing initiatives have yielded significant improvements at both the Vancouver and Gresham plants since they were implemented in earnest eight years ago. All financial information is shared with employees to get them up to speed on the importance of each individual element of the operation, which creates a proactive mindset to make constant improvements in processes. Once that environment has been created, Lobis said, continued growth becomes an expectation. WHERE: Corporate headquarters in Vancouver, Wash.; manufacturing facility in Gresham, Ore.